Check out Our Sunriver Deck Building in Action! We love to talk about the benefits and perks of investing in quality deckwork for your Sunriver, OR home. Whether you are expanding the deck of your year-round residence or completing deck maintenance on your vacation property, a quality deck is the best way to enjoy the boundless natural beauty Sunriver has to offer. To show you how much you’ll love Webfoot Painting’s deck building work, here’s an actual project story from our deck team. We recently finished expanding and refinishing the rear Sunriver deck of a client who was in need of increased deck support and square footage. The front of the deck was sagging, worn and in need of new, proper footings. Our deck team got right to work ensuring that her deck was not only better suited for gatherings, but structurally sound as well. Sustainability is essential when working with natural materials, especially real wood. 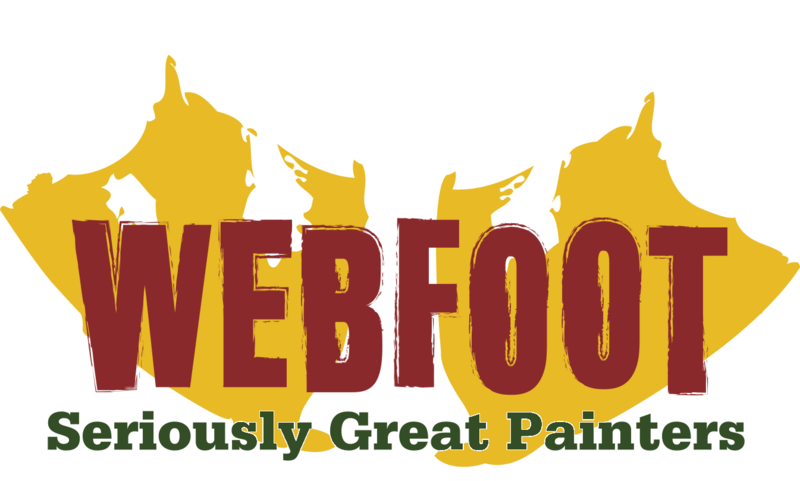 The team at Webfoot Painting wants to be sure that our work is beautiful and long-lasting without having a negative impact on our planet. So when it came time to give this deck a facelift, we worked alongside our client to select redwood decking. Redwood saplings can be spliced into old redwood tree stumps, and then they can utilize the root system of the mature tree, which allows for faster growth. Many other materials, such as decking that comes from cedar trees, are not as sustainable because the root system dies when the tree is cut down. Once we had the framework of the old deck supported and refinished, and the deck expansion was complete, we left the project and returned in approximately 30 days for staining. In order for this new Sunriver Deck to really shine, we wanted to ensure that the mill glaze had weathered and oils in the wood had dried and dissipated before staining. This allows for the best stain absorption, which makes the stunning, natural beauty of the redwood shine. On our return visit, we washed the deck with wood cleaner to remove contaminants, giving us the perfect surface pH, and then added the showcase stain. This same process is followed every time we have a deck project of this scope. 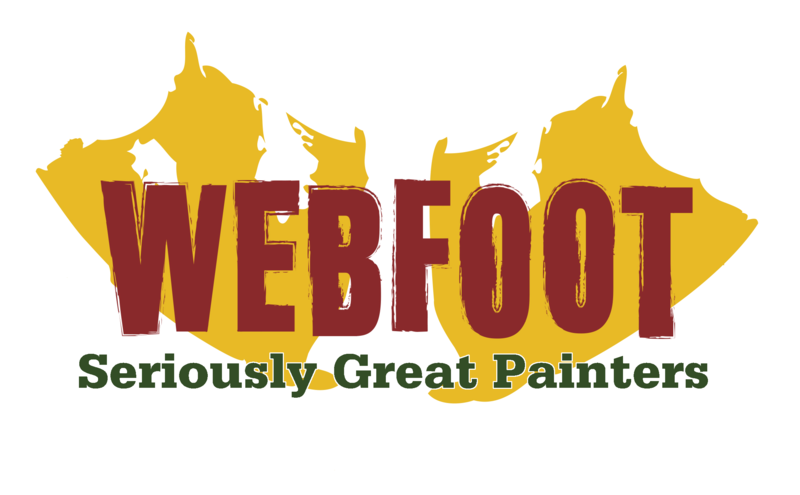 We love partnering with clients new and returning on deck maintenance and deck building, and of course this just adds to the complete services that Webfoot has to offer the residents of the Bend, OR area. 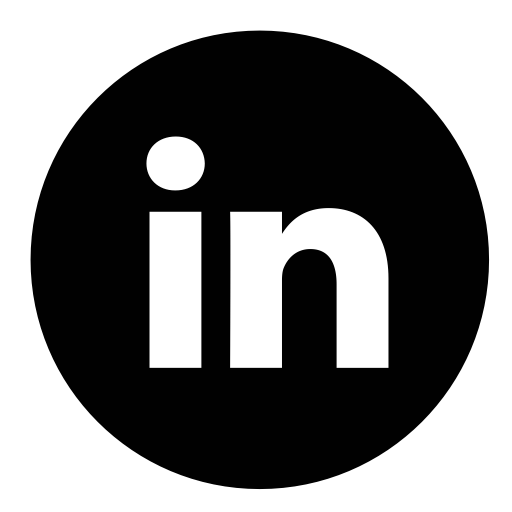 We want to be your first call when it comes to everything from interior painting to gutter cleaning. Our services don’t stop at residential painting and maintenance; we offer commercial painting services as well. Give us a call for an estimate on any project big or small and see what makes us seriously great painters.